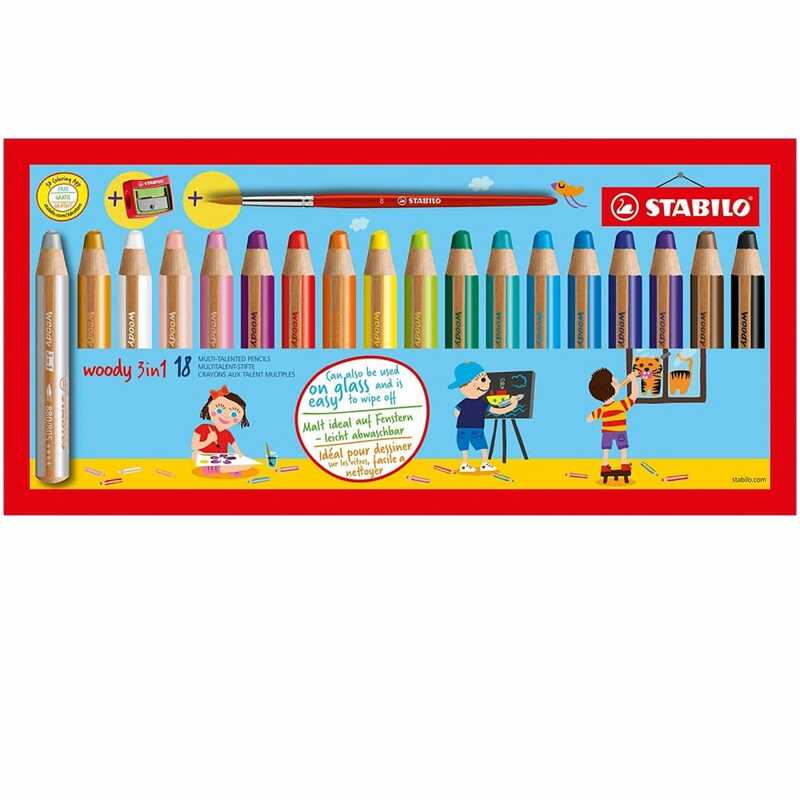 The Stabilo woody 3 in 1 is a truly multi-talented pencil, it is a wax crayon, pencil and watercolour all in one. The pencil has a chunky shape which is ideal for small hands and lays down as much colour as 8 standard pencils. Suitable for using at school and home suitable for paper, cardboard, glass, metal and other smooth surfaces. Perfect for use on dark paper and don't forget even more fun can be had when you add water with a paintbrush. Set contains 18 colouring pencils, sharpener and paint brush.